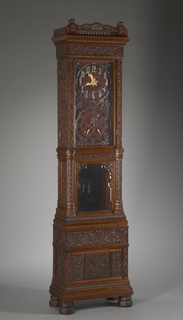 See more objects with the tag interior decoration, timekeeping, luxury, decorative, clock. See more objects with the color black darkolivegreen rosybrown dimgrey or see all the colors for this object. 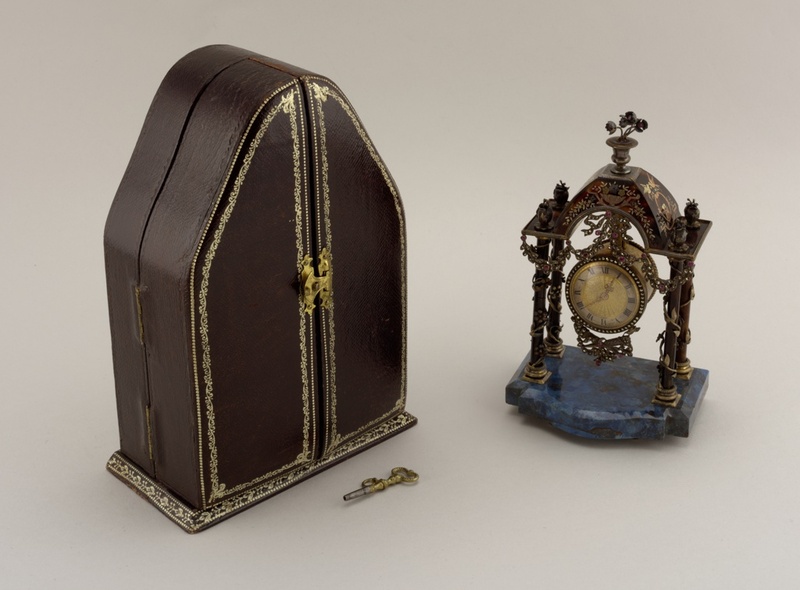 This is a Clock and case. We acquired it in 1969. Its medium is silver-gilt, tortoiseshell, cut diamonds and rubies, blue stone; leather with silk and velvet lining (case). It is a part of the Product Design and Decorative Arts department. This object was donated by George Saville Seligman.